NF Octane Booster Racing Formula is the top of the range Octane Booster and the best you can buy. The superior fuel treatment is used for a super high performance. Wanting more Power and Performance? Wanting better fuel economy? Or just a smoother running engine? Not only can it be used for a super high performance octane booster but doubles as a very economical everyday use formula for valve seat protection. 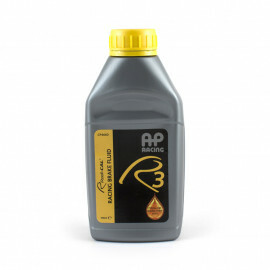 AP Racing Formula DOT 5.1 Road / Competition Clutch & Brake Fluid. Formula DOT 5.1 is a premium specification Motor Vehicle Brake and Clutch Fluid which conforms to and exceeds the current international specifications U.S. FMVSS No 116, DOT 3, DOT 4, and DOT 5.1, S.A.E. J1703, SAE J1704 and ISO4925. 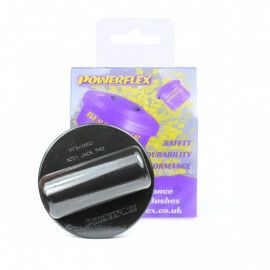 - Suitable for High Performance Road Applications including vehicles fitted with ABS and ESP. - Superior -40°C (-40°F) viscosity makes it suitable for vehicles operating in cold climates. 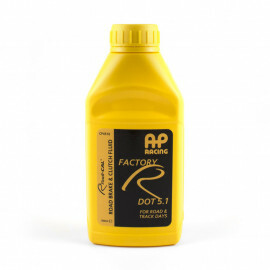 - AP Racing Formula DOT 5.1 is non silicone based. 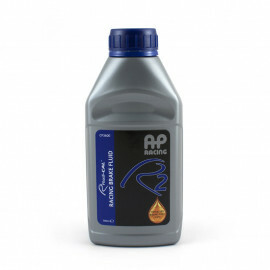 - AP Racing Formula DOT 5.1 fluid will mix safely with other DOT 5.1 fluids along with DOT 3 and DOT 4 Fluids conforming to the above specifications. - Family Part No. - CP4510-20 (20 Bottles). AP Racing 600 Brake Fluid has been developed for racing applications where higher than normal temperatures are being experienced, e.g. when using carbon/carbon discs and the ultimate in brake fluid performance is required. It should be noted that before using AP 600 fluid, any existing brake fluid should be drained completely from the brake system. The system should be thoroughly purged with new AP 600 brake fluid and can then be filled completely with AP 600 fluid. DO NOT USE AP600 fluid in contact with any type of magnesium components (e.g. gearbox / clutch components) as a chemical reaction is caused resulting in gases being generated. This will then prevent the clutch hydraulics from working efficiently. 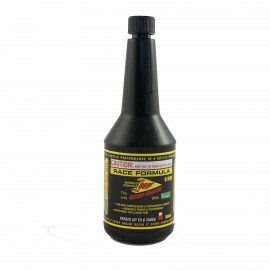 AP Racing PRF660 Brake Fluid Conforms to and exceeds U.S. FMVSS No 116 DOT 4, SAE J1703 and SAE J1704 specifications and has been developed for racing applications where higher than normal temperatures are being experienced, e.g. when using carbon/carbon discs and the ultimate in brake fluid performance is required. It should be noted that before using AP Racing PRF660 fluid, any existing brake fluid should be drained completely from the brake system. The system should be thoroughly purged with new AP Racing PRF660 brake fluid and can then be filled completely with AP Racing Racing 660 brake fluid. DO NOT USE AP660 fluid in contact with any type of magnesium components (e.g. gearbox / clutch components) as a chemical reaction is caused resulting in gases being generated. This will then prevent the clutch hydraulics from working efficiently. Radi-CAL™ R4 has been designed to perform better than any other product at the extremes of heavy duty braking performance in the top levels of racing. With the highest dry boiling point of any racing brake fluid currently available, at 340°C (644°F), R4 stands alone. With outstanding resistance to vapour lock / pedal fade under the most exacting conditions. A higher vapour lock point means a firmer brake pedal at the extremes of brake temperature. Enhanced lubricity, means this fluid is an even better lubricant than PRF660 itself a market leader. This helps the life of the metal moving parts of the brake system and increases system efficiency. Note: R4 can be mixed with DOT3 and DOT4 racing brake fluids but for maximum product performance the brake system should be thoroughly purged with R4 fluid. 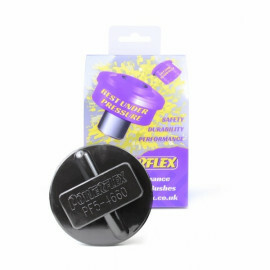 PF5-4660 fits into the plastic lifting points found on most modern BMW and related vehicles and is designed to help lift stability and location, whilst protecting the underside of your vehicle. 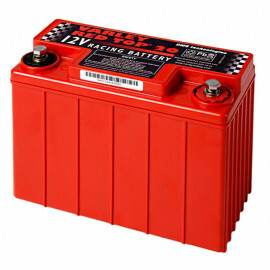 The Varley Red Top 20 Racing Battery 12V 13AH offers very high performance for race and rally applications. Designed and engineered to a high specification for motorsport use, this lightweight race battery can withstand even the harshest of conditions. With high shock and vibration resistance, the Varley Red Top batteries have proven to be an excellent choice for race and rally cars. Small, lightweight, maintenance free and with an exceptionally high discharge capability, these batteries can be fitted upright or on their side and will not leak acid even when damaged. Racing cars up to 2.0 Litres using alternator, Motorcycles, Pit Equipment. Sports 2000 Duratec, FF1600, FF2000, Formula Renault, Westfields, Caterhams. PF3-1660 is a polyurethane jack pad to fit into the plastic lifting points found on a large number of performance Audi vehicles and is designed to help lift stability and location, whilst protecting the underside of your vehicle.